Tiki Oasis 14: “Beat Tiki” Sunday Events! 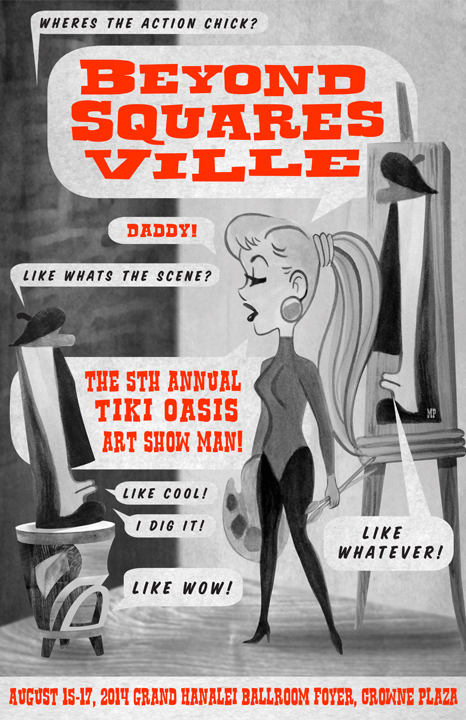 Don’t leave the event early, we have a full day and evening planned for you at Tiki Oasis on Sunday! • Indoor and Outdoor Vendor Marketplace Open to the Public! • Uke Jam 6 All invited – bring your Ukulele! • Jason Lee and the R.I.P. Tides poolside! * Tiki Oasis Beatnik BBQ Special Sunday ONLY menu! Platter choices of Santa Maria Trip Tip, BBQ Chicken, Pulled Pork Sandwiches, Vegetarian options also! Huge Dance Floor, Full Bar and BBQ on the back porch! Love was the biggest, most respected band on the L.A. club scene at the zenith of that creative musical explosion in 1966. For example, even though The Doors had a number one hit record they continued to be the opening band for Love in Los Angeles. Original lead guitarist Johnny Echols is supported by seasoned Baby Lemonade crew who backed Arthur Lee. Local luminaries The Loons include Mike Stax, former member of The Tell-Tale Hearts and founder of Ugly Things magazine, and Anja, former member of London garage Go Go band The Diaboliks and current member of 60s girl group The Rosalyns. The Loons are all set to launch their fourth album this summer. Thursday Night Tiki Oasis Mix and Mingle Pre-Party at the Historic Bali Hai on Shelter Island! Featuring Polynesian Paradise Dancers Performing Thru Out The Evening! plus DJs Eric Musick and Phast Phreddie! Register for Tiki Oasis and pick up your wristbands at The Bali Hai! Get your official Tiki Oasis photograph taken! Purchase fresh leis from Aztec Flower Mart and purchase official Tiki Oasis merchandise all night long! Add Italian Flavor to Your Luau! 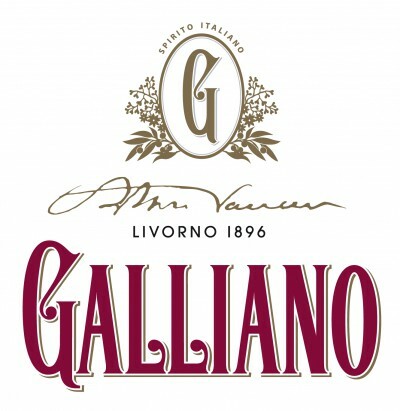 Taste Galliano Autentico and Ristretto in custom cocktails at a special price at the Opening Night Mix ‘n Mingle. Be sure to try the Angostura drink specials at Thursday Opening Night Mix ‘n Mingle at the Historic Bali Hai! They will be offered at a special price on custom drink menus..
And, there will be plenty of Angostura Rum and Bitters in the Tiki Bongos Suite at Friday night Sip ‘n Shop. Stop by! View a photo album of Tiki Oais 13 Mix and Mingle at Bali Hai here. And view a video of Tiki Oais 13 Mix and Mingle at Bali Hai here! Dig the Crazy Ballast Point Scene at Tiki Oasis! 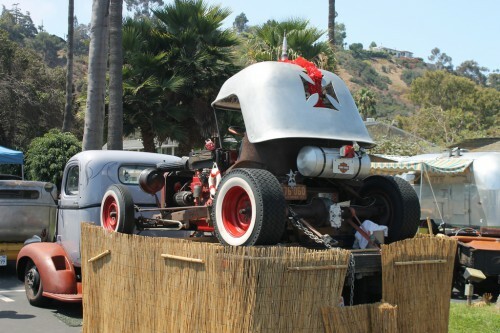 Come dig the crazy Ballast Point scene at Tiki Oasis 2014! We’ll be hanging out with Ram Udwin at his “Bitter Side of Tiki” symposium on Friday. You won’t want to miss our Friday Night Rum Lounge and Sunday Night Booze and Brews Blowout. Both will be in Suite 1136 beginning at 10:30 pm during the Room Crawl. Madame Madeline Contest for Tiki Oasis Attendees! 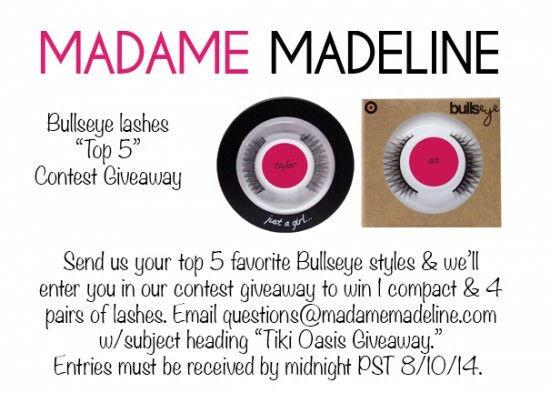 Madame Madeline Bullseye Lashes, “Top 5” Contest Giveaway! Send us your top 5 favorite Bullseye styles & we’ll enter you in our contest giveaway to win 1 compact & 4 pairs of lashes. Email questions@madamemadeline.com with subject heading “Tiki Oasis Giveaway”. and a Cigar / Rum Pairing Lounge! 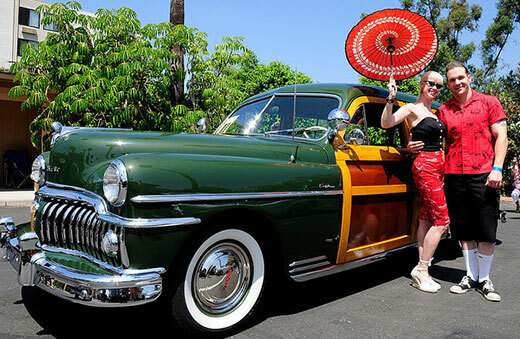 In its’ 14th year, Tiki Oasis is offering over 30 educational Symposiums. Here is a list of the event’s mixology Symposiums, for cocktail, and beat literature fans alike! If you are a writer and would like to do a post about our Symposiums, speak with or interview Tiki Oasis talent or organizers, need images, recipes, etc, please contact me via the Reverberations Media or Tiki Oasis contact forms. Ernest Hemingway enthusiast and cocktail connoisseur Philip Greene delves deeper into the author’s drinking habits than ever before, sharing stories around drinks directly connected with the novels, history and folklore, and colorful anecdotes about the man himself. Booksigning to directly follow Philip Greene’s symposium. Bitters and tinctures aid home and professional bartenders in bringing balance and zest to their cocktails – adding perhaps the perfect final element to a well-crafted tiki libation. In this class, you will get an introduction to cocktail bitters, their history and how they are made. The class will culminate with a discussion on the how and why of using bitters in creating complex and delicious tiki drinks. Ram Udwin is a bitters maker, a booze blogger and a cocktail man, dedicated to the study and better enjoyment of spirited libations attend. Cut Down On The High Cost Of Entertaining! In the book “On the Road”, the character Remi is quoted as saying: “You know what President Truman said: We must cut down on the cost of living.” Ok so maybe they did a little bit of the five finger discount to cut down on the costs! This symposium hosted by Kelly Patterson from “Velveteen Lounge Kitsch-en” gives you tips and tricks on how to entertain with flair on the cheap! Recycling, using leftovers, creative use of found items and picking items on sale. Ahem…. just no stealing! Join PKNY’s Richard Boccato for a boozy foray into the once-venerated yet subsequently neglected art of the blended and frozen cocktail. The history surrounding the roles of the Hamilton Beach and the Waring Blender behind the tropically inspired bars of yesteryear will be revealed, and the resurrection of this technology at the modern drinking hole will be regaled. Most importantly, we will discuss the intricacies of balance, temperature, and water content as they pertain to the successful execution of a frosty beverage. Many tasty Tiki treats will be provided for your pleasure, so prepare for the inevitable brain-freeze that will surely ensue! Richard will be joined by his Aussie bartending crew all the way from White Lightning Tiki Bar at Alfred & Constance in Brisbane! There’s never been a better time to be a rum lover! Join Smuggler’s Cove owner Martin Cate on a guided tasting of the very latest in brand new rums. Incredible & complex rums are now hitting the market in record numbers, and Martin has personally curated a selection of some of the best from producers both new and established. You’ll participate in a lively discussion and learn how you can help play a part in shaping this exciting and growing segment. I mean, we all love rum, right? RIGHT?! So spend an afternoon with some of the finest new tipples in town! Booze writers Derek Hembree and Dr. Clint Lanier are back at Tiki Oasis to guide audiences through the cocktails enjoyed by the Beats. Audiences will explore the favorite drinks of the most notable Beat writers and of the authors who influenced them. Learn the history of the drinks, their ingredients and why they came to gather in such sublime fusions. The presentation includes cocktail mixing demonstrations and samples. Denizen Rum and Lost Spirits. Tiki Oasis invites you to a special Rum and Cigar pairing experience in an exclusive cabana lounge setting. You will taste and learn about these premium rums and enjoy hand selected cigars that pair exceptionally well with these rums.